Anil Doshi, RPh, Ph.D - Haig Barrett, Inc.
Anil has selected, developed and launched several pharmaceutical products in anti-infective, cardiovascular, CNS and NSAID therapeutic areas. His thirty years of total product development experience has resulted in a filing of 6 IND’s, 4 supplemental NDA’s, two 505(2b) NDA applications for branded products and 16 ANDA’s for solids, 6 ANDA’s for Parenterals and 4 ANDA’s for liquid generic pharmaceutical products. Anil has a wealth of knowledge from thirty years of experience in pharmaceutical formulations from solids, liquids and parenterals as well as controlled release and biotech formulations. 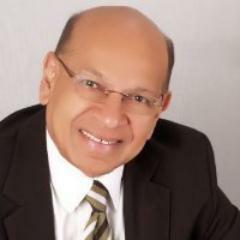 He is results oriented and has a clear comprehension of the entire Product Life Cycle Management process including: preformulation, product development, process development, project management, validation, technology transfer, manufacturing (in-house and contracted), regulatory affairs and business development. In 2005, Anil formed Infinity Pharmaceutical Consulting, which provides product development, manufacturing, regulatory and management strategies in life science industries. Anil has served as VP of Product Development and was the head of the Formulation Development division for aaiPharma in Wilmington, North Carolina. His previous scientific and leadership/management positions includes, Director of the Pharmaceutical Product Development for Mova Pharmaceutical and later, Director of Pharmaceutical Sciences for the business groups. Prior to Mova Pharmaceutical, Anil worked for Warner Lambert (now Pfizer), Eurand America (now Warburg Pincus), Bristol-Myers and Dow Pharmaceutical (now Sanofi-Aventis). Anil obtained a Ph.D. in Industrial and Physical Pharmacy from Purdue University and is a Registered Pharmacist in the state of Pennsylvania. Anil has taken various strategic business and leadership development courses at Wharton, Columbia & Kellogg business schools.